Installing gas pipes, valves, and appliance connectors is serious business. Improper gas line installations can easily result in gas leaks. And a gas leak can be costly, as well as downright dangerous. Don’t put your home, your family, and yourself at risk due to shoddy craftsmanship. Let our professional plumbers and gas line technicians install your piping, your valves, and your appliance connectors. InSink Plumbing utilizes state of the art materials and industry standard techniques to install gas lines throughout your home or property. We have years of experience installing gas lines throughout Illinois. We’re insured and guarantee all of our plumbing and piping services. Count on us to install your gas lines the right way the first time. Gas valves are crucial for the safety of a home and for controlling the flow of gas. We know how to properly install gas valves, and we understand their utility. Let us install your gas valves correctly, and in the right place. 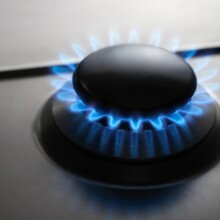 Again, connecting your appliance to your gas line the right way is crucial. Even a small leak can fill the volume of a space in your building or home – and that can lead to an explosion. Don’t take a chance. Utilize our professional piping and plumbing services. InSink Plumbing provides gas line piping for folks throughout Illinois, including Addison, Elmhurst, Carol Stream, Wheaton, Winfield, West Chicago, Lakewood, Wayne, Keeneyville, and Bloomingdale. Give us a holler today if you’re in need of a gas line installation, valve installation, or gas appliance connector installation.